Peaceful. Quiet. Secluded. 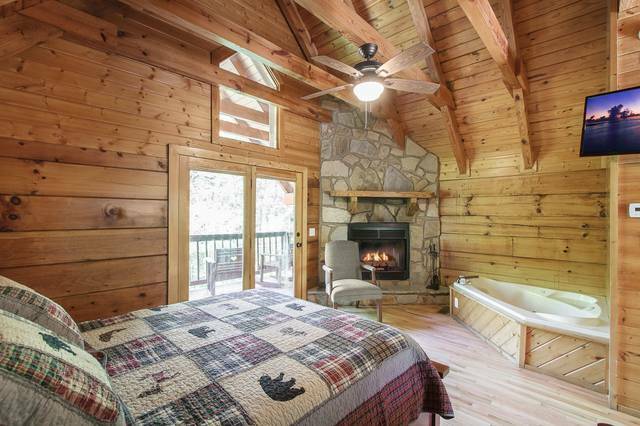 Our 1 bedroom cabins in the Smoky Mountains are all of this and more. Located on 135 wooded acres just a 15 minute drive from Gatlinburg, TN, our 1 bedroom Smoky Mountain cabins by the lake are perfect for a romantic getaway or a small family vacation. Take a peaceful stroll down a quiet country lane to the beautiful mountain lake and enjoy the sights and sound of nature all around you. Enjoy a relaxing soak in the private hot tub on the deck of your cabin or in the jetted tub indoors in front of the wood-burning stone fireplace. Our cabins near Gatlinburg, TN offer all of the amenities of home, including fully-equipped kitchens, flat screen televisions and so much more. 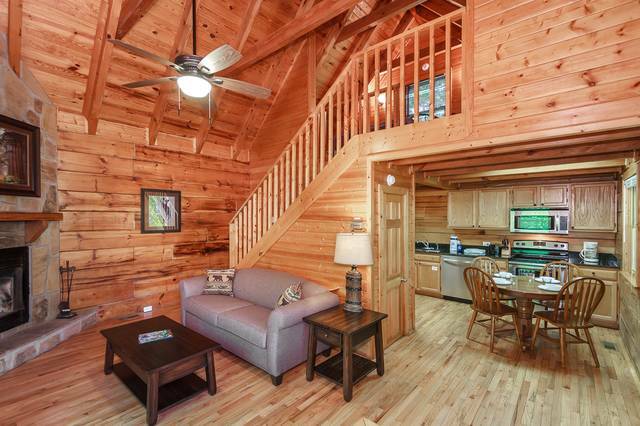 Scroll through our 1 bedroom Smoky Mountain cabins below and start planning your visit today!